Today people expect information to find them. Let's face it, our expectations as consumers are at an all-time high. We’re all connected by technology and whenever something relevant to us happens in the world, we expect that information to find us. Whether it’s through our favourite news app and social networks or even through friends and family on direct messaging apps like Whatsapp, we get information just as it happens. Unfortunately, though, this hasn’t really translated into our work lives. The average knowledge worker still spends an astonishing 2.5 hours a day searching for information. That’s over a week lost every month searching. What does that mean when you take into account an organization with 1,000, 10,000 or 100,000 employees? That’s a massive amount of wasted productivity and a lack of efficient content distribution that still gets overlooked at all levels of the organization; as if we have simply come to terms with this sub-standard practice being the norm. Well...we’re tired and frustrated. We won’t conform. Here’s to starting a revolution! The adoption dilemma; how do you get employees to care? 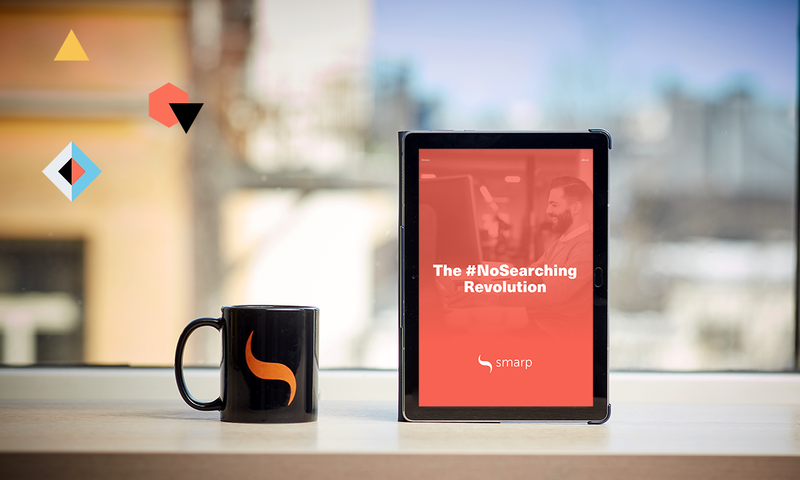 The #NoSearching revolution is here.